After trying and rejecting a Yamaha SG175, Santana and Yamaha worked together to develop the SG2000. This model incorporated a neck-through-body design. A mahogany body delivered the weight, which led to greater sustain and a fatter tone. Strips of mahogany flanking the neck (called the "T-Cross System) were also incorporated. The hardware was converted to brass, which purportedly added to the sustain as well. In addition, a "Sustain Plate" was added: a brass plate that sat underneath the tailpiece. 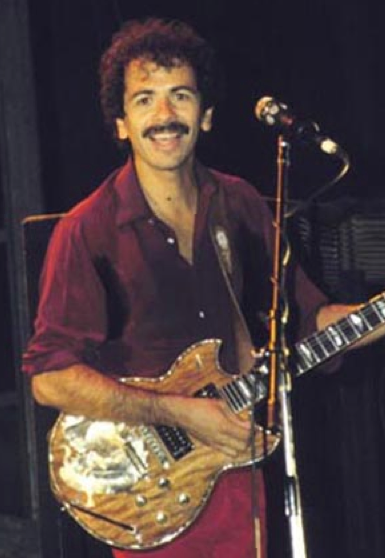 The tone of Carlos Santana's Yamaha SG guitar can be heard on a number of landmark recordings, one of the most notable being 1977's "Moonflower"
Carlos continued to use the Yamaha until the early '80s, both in concert and in the studio. By 1982 he had migrated totally to Paul Reed Smith guitars, which he continues to play to this day.